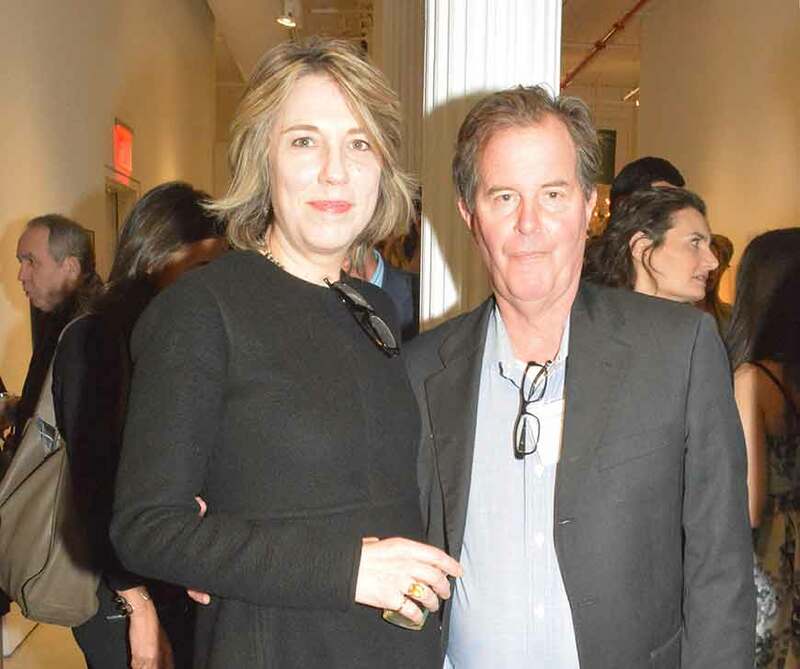 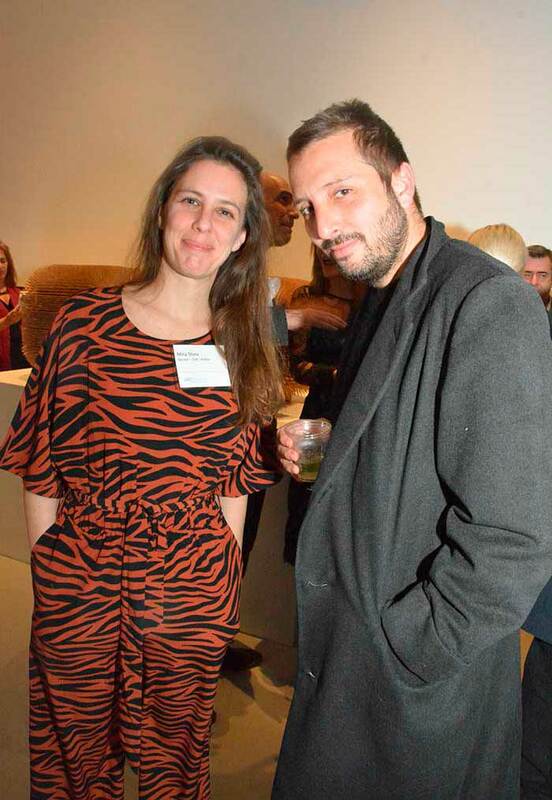 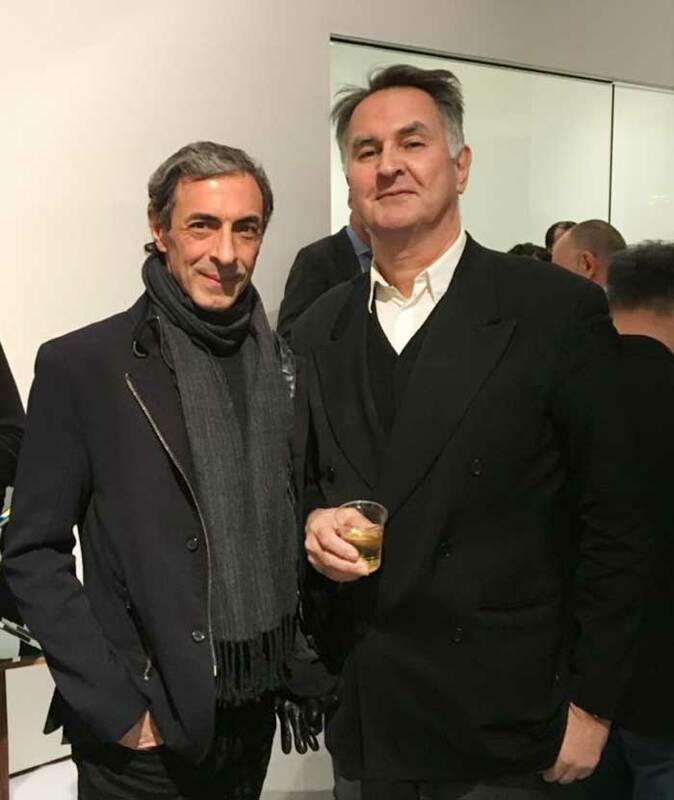 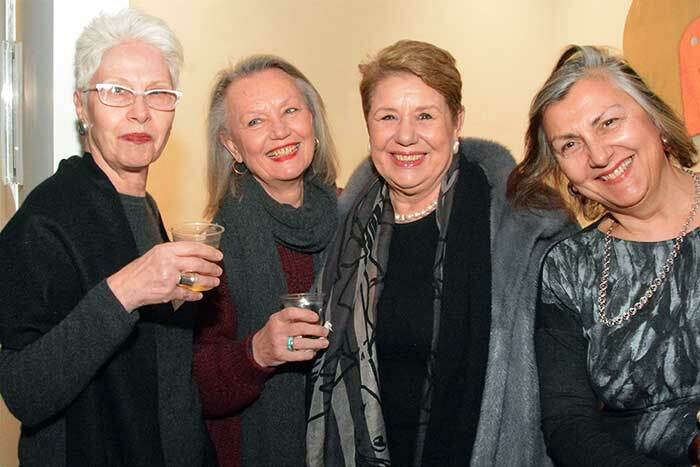 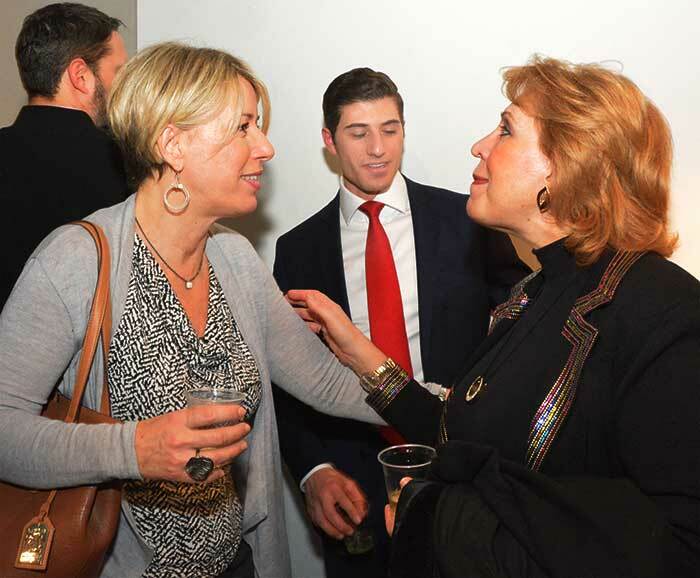 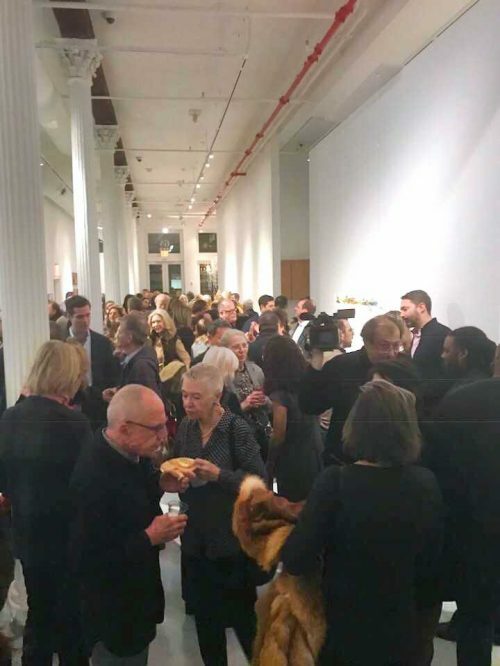 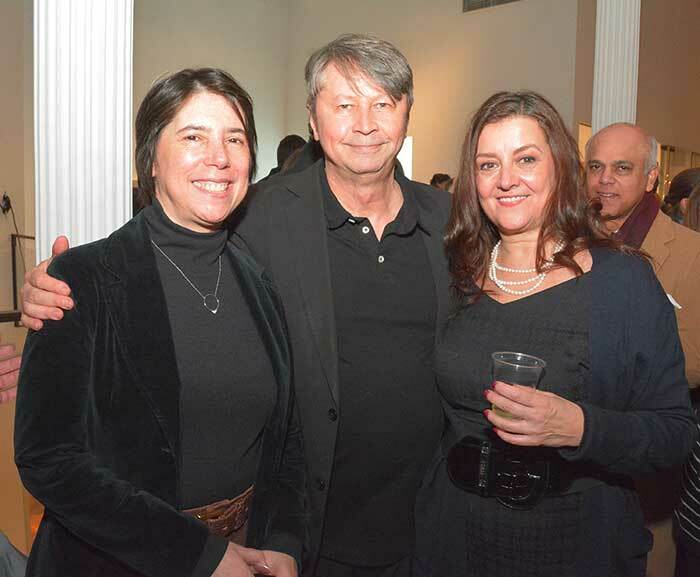 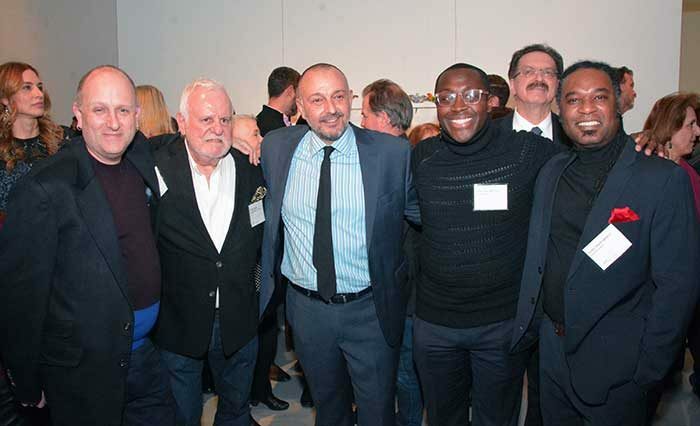 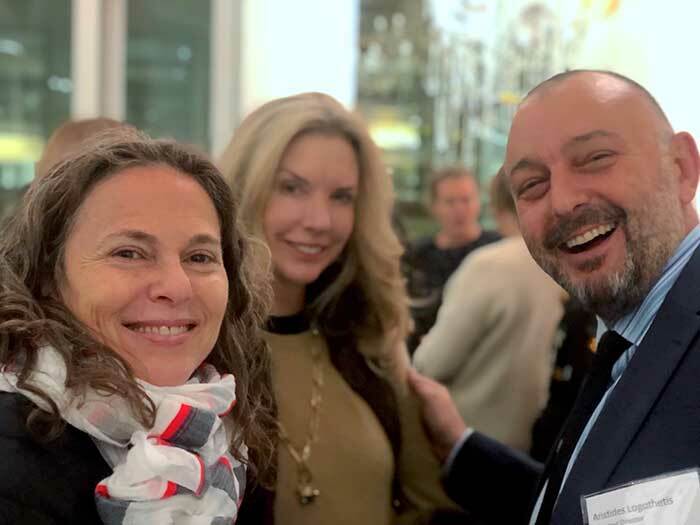 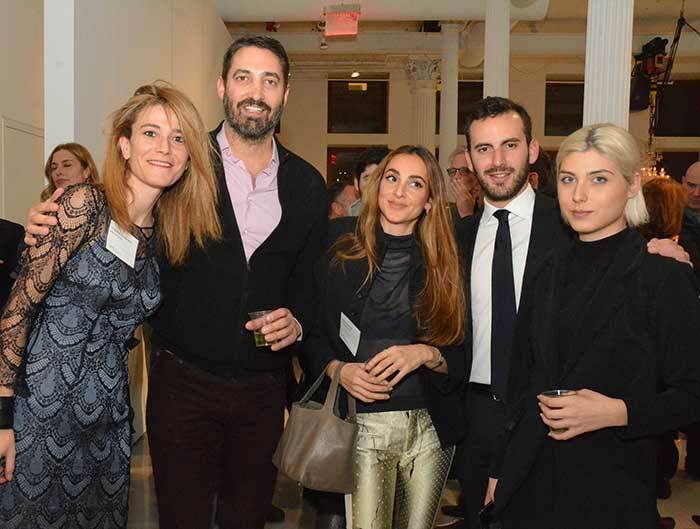 On the evening of January 22nd, ARCAthens celebrated its official launch with its first public event in New York—held in the acclaimed new gallery of R & Company in TriBeCa. 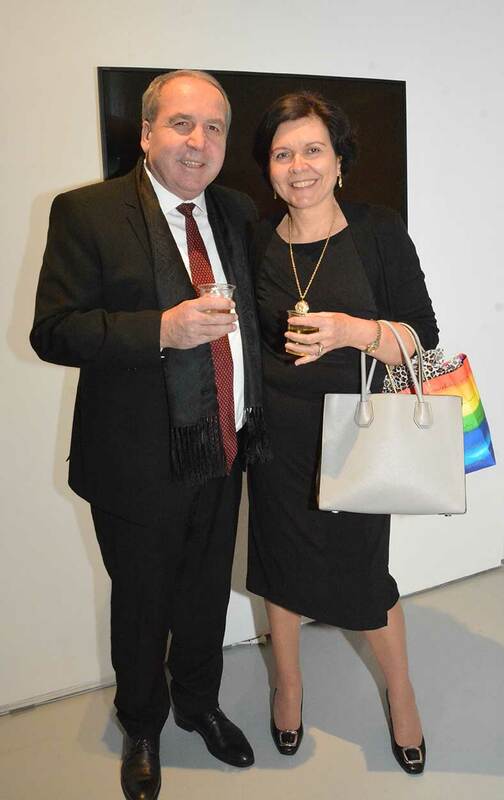 The evening’s remarks were opened with a welcome from ARCAthens Board Member and co-owner of R & Company Zesty Meyers. 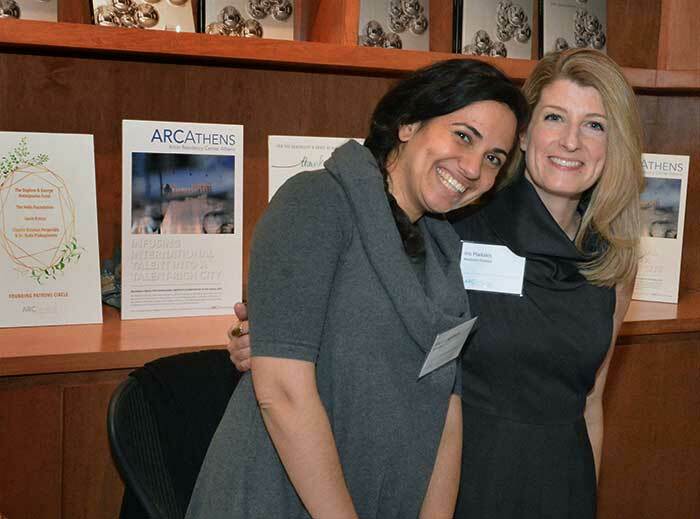 He then introduced Aristides Logothetis, Executive Director of ARCAthens, who announced the official activation of ARCAthens with the Spring 2019 Pilot Program, which will be hosting two Fellows in Athens for six weeks starting February 19th. 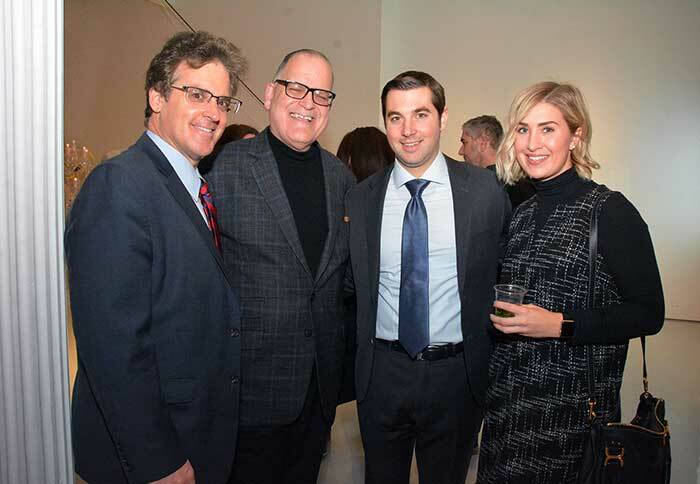 Additional developments were also mentioned, including the establishment of the ARCAthens Residency at EPI, at Lafayette College. 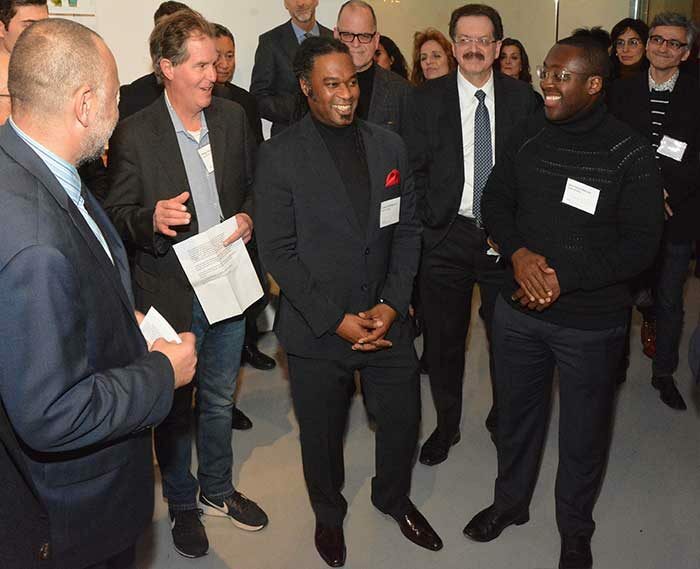 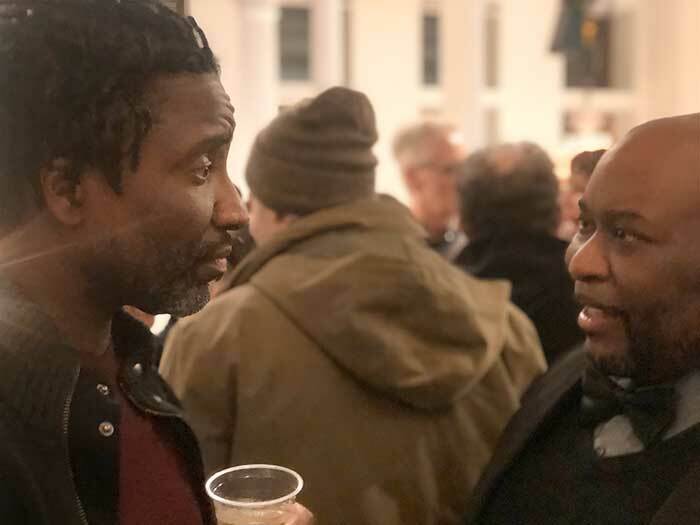 After thanking the team for their efforts and the sponsors for their generosity, Aristides shifted the spotlight to the Fellows of the Pilot Program—artist Cullen Washington Jr. and curator Larry Ossei-Mensah. 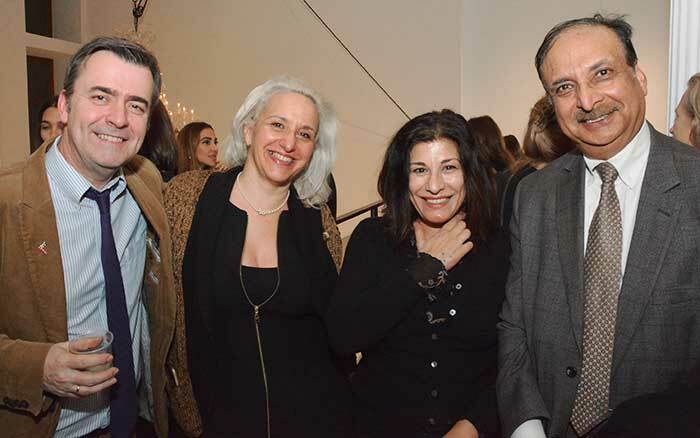 Each Fellow expressed their anticipation of the residency and shared stories about their relationship with Greece. 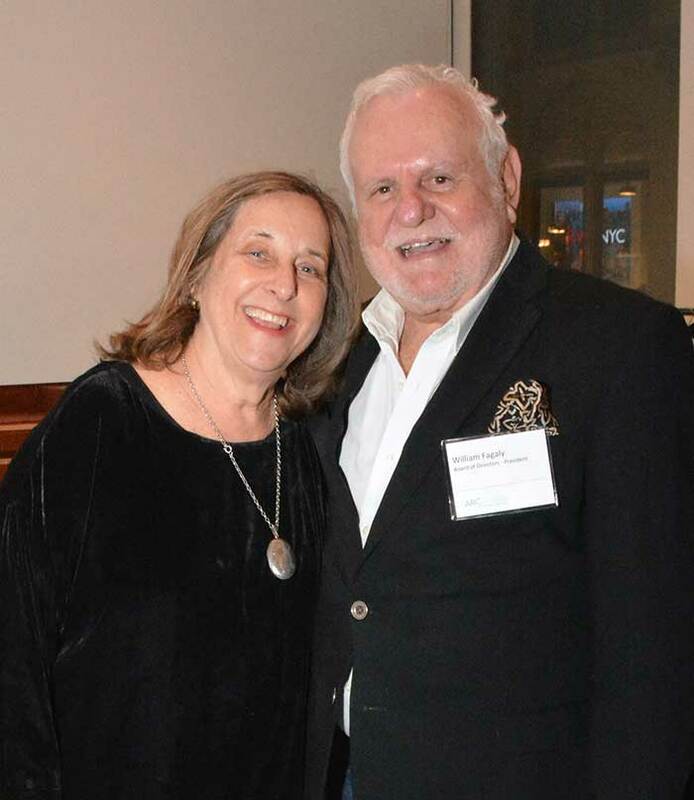 Cullen divulged how as a young boy in Louisiana, trying to be like his minister father, he would transcribe biblical Greek alongside him on Saturday mornings. 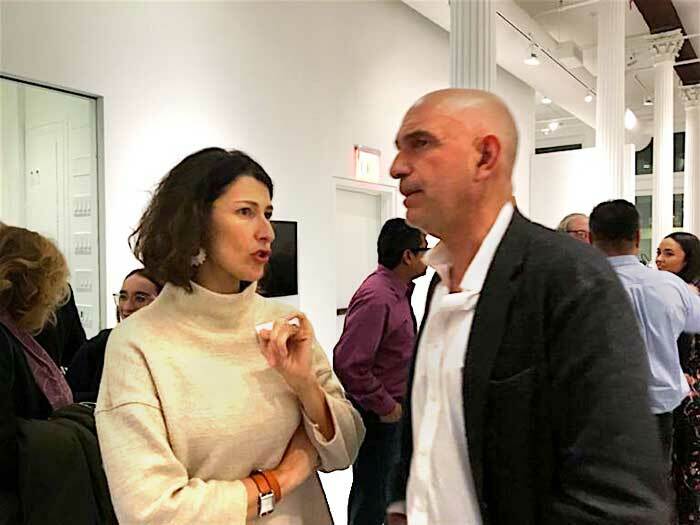 He also spoke of the desire to spend time in Athens because his recent work is inspired by the Athenian Agora, the first city square, and about how the Agora is a space of humanity and interconnectedness. 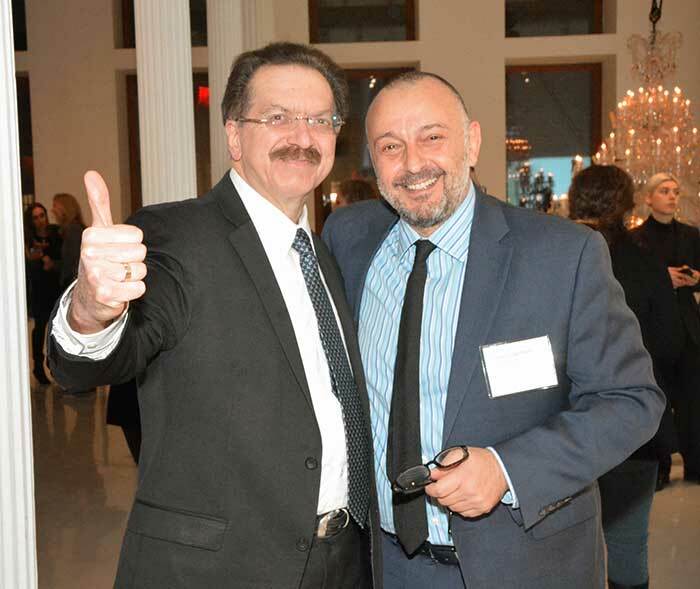 Larry recounted of how he had in fact been in Greece when he received Aristides’ call. 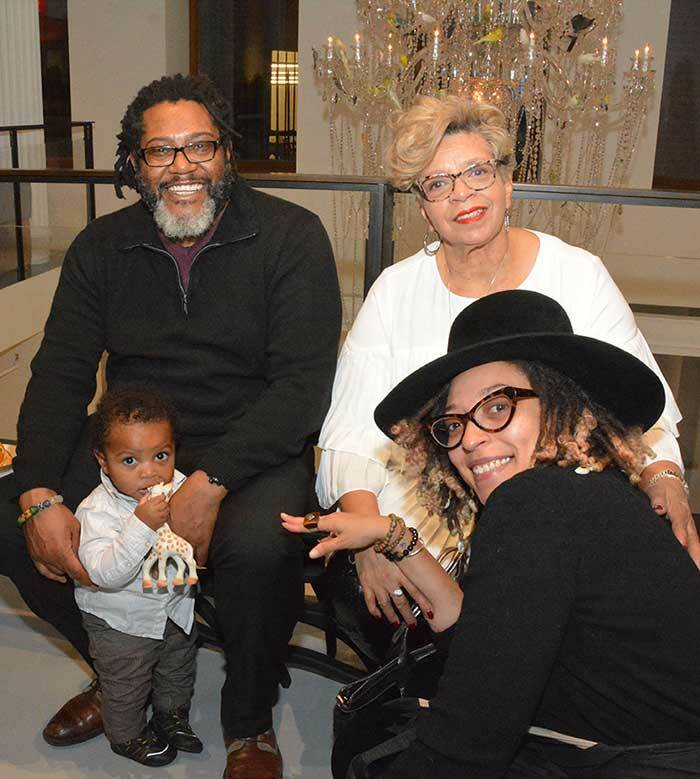 He was so taken by the creative energy there that despite the fact that he was subsequently appointed Senior Curator at the Museum of Contemporary Art Detroit (MOCAD), there was no way he would pass up this opportunity. 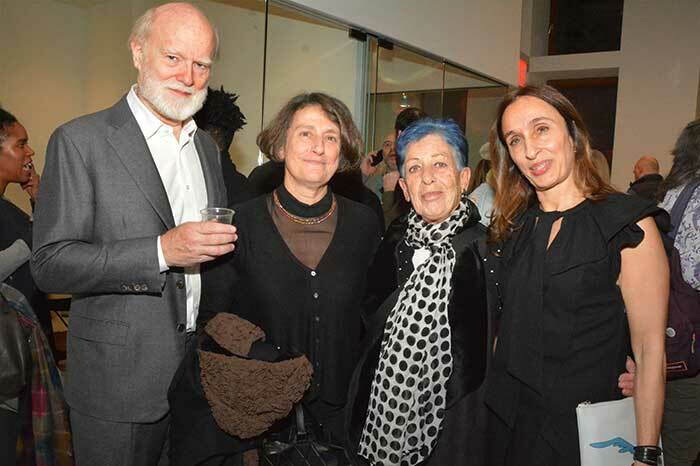 Finally, Board Member George Negroponte shared a few words about his involvement with ARCAthens, the necessity of supporting the arts, and how art “provides nourishment and dissolves barriers.” To emphasize his point, George topped it off with a personal pledge of $5,000 in support of ARCAthens’ future programming. 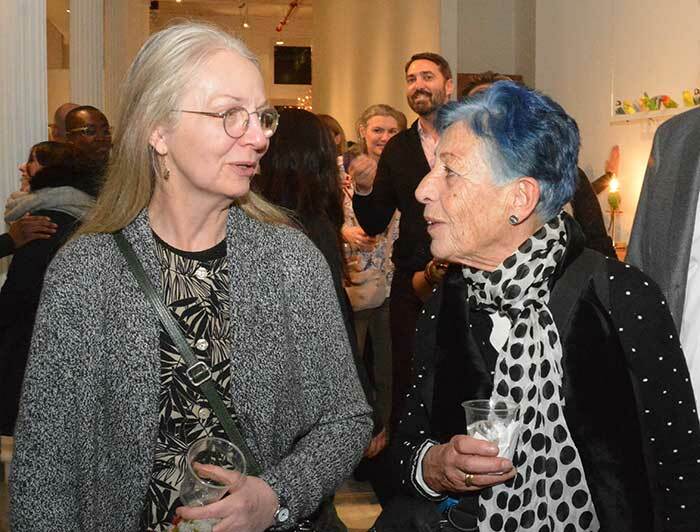 The enthusiasm was seemingly infectious as the evening continued and the lively crowd stayed well-past the conclusion of the event. 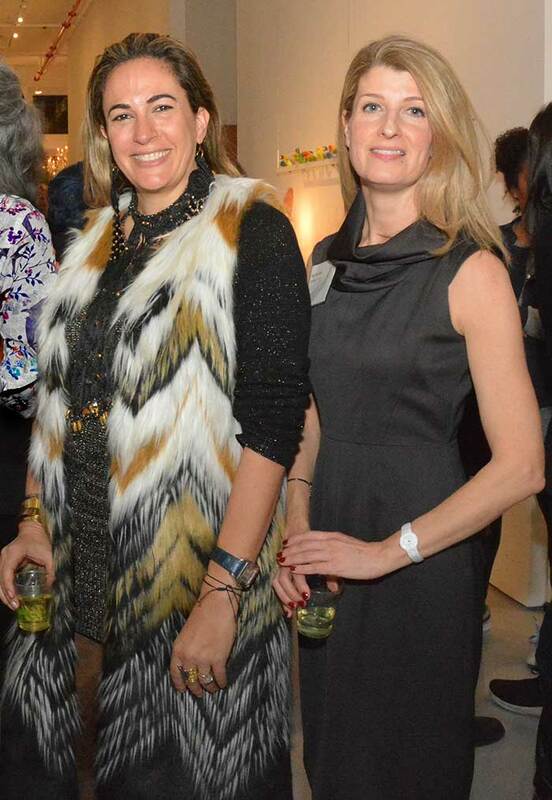 SPECIAL THANKS TO: R & Company, Mina Stone, COCO-MAT, Olea True, Thalassa, and Fantis. 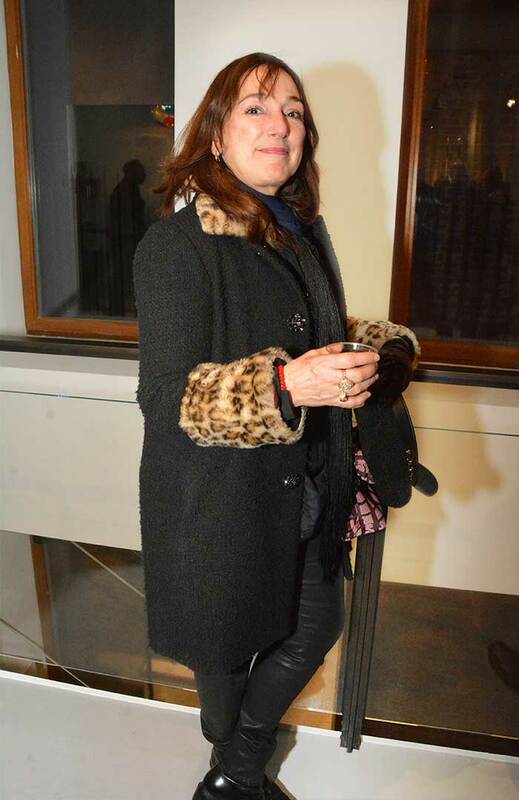 The event was also covered by journalist Eleni Sakellis for The National Herald. 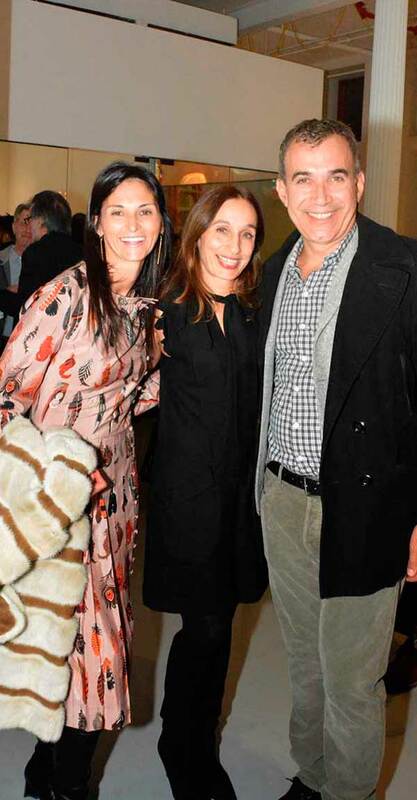 Click here for article.